Birds of Prey is the name of several comic book series, miniseries and specials that have been published by DC Comics since 1996. The book's premise originated as a partnership between Oracle and Black Canary but has expanded to include additional superheroines. 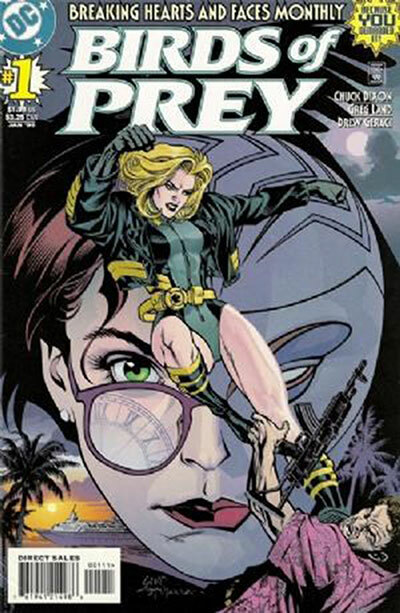 The team name "Birds of Prey" was attributed to DC assistant editor Frank Pittarese in the text page of the first issue. The group is initially based in Gotham City and later operates in Metropolis and then relocates once more to "Platinum Flats", California, a new locale introduced in Birds of Prey in 2008. 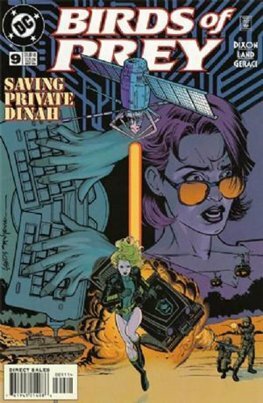 The series was conceived by Jordan B. Gorfinkel and originally written by Chuck Dixon. Gail Simone scripted the comic from issue #56 to #108. Sean McKeever was originally to replace Simone, but McKeever subsequently decided to leave the project and only wrote issues #113-117; Tony Bedard, who wrote issues #109-112, briefly took over the title at issue #118. 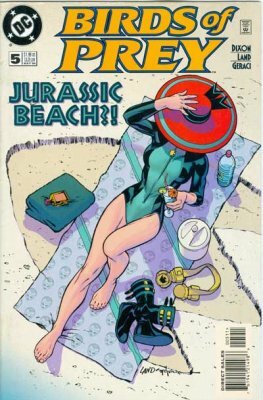 Artists have included Butch Guice, Greg Land, Ed Benes and Joe Bennett; Nicola Scott began a stint as artist with issue #100. In 2011, the title was relaunched under writer Duane Swierczynski and artist Jesus Saiz. The core of the team is made up of Oracle and Black Canary, with other heroines forming a rotating roster sometimes for extended periods, sometimes for merely one adventure. After Black Canary's departure, Huntress remained as the staple member and field leader, alongside new "core members." Following the events of Flashpoint (2011) and the company-wide relaunch as part of The New 52, Oracle recovers her mobility and reclaims her former Batgirl identity, taking a brief hiatus from the team in the process. Despite the previously all-female central roster, male allies such as Nightwing, Wildcat, Savant and Creote frequently assist missions. In addition, Hawk and Dove briefly joined the team, making Hawk its first male member.